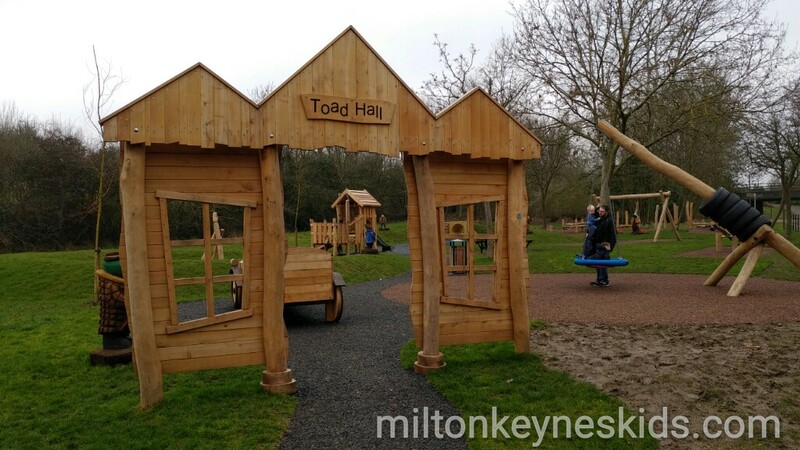 The Wind in the Willows park is in Petworth in Great Holm in Milton Keynes and opened in December 2016. We were really excited to see the work in progress but hadn’t actually had the chance to explore it until early February 2017. Well if you have young children, then we’re happy to report that it’s absolutely worth visiting. 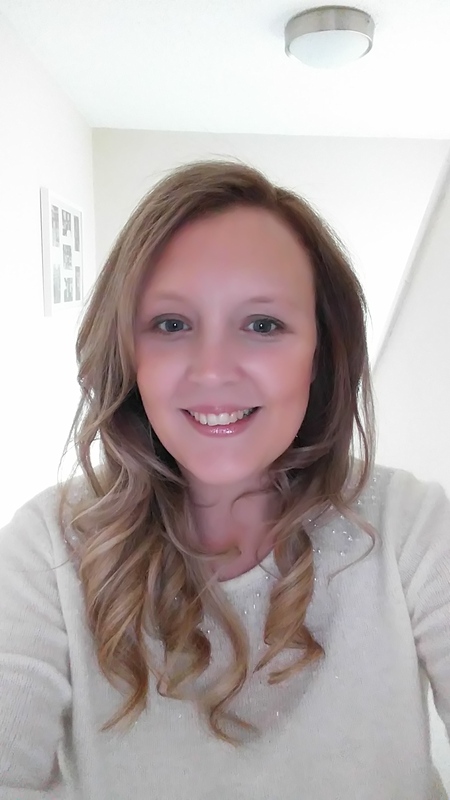 Watch the video below to see what it’s like and then scroll down for more information. 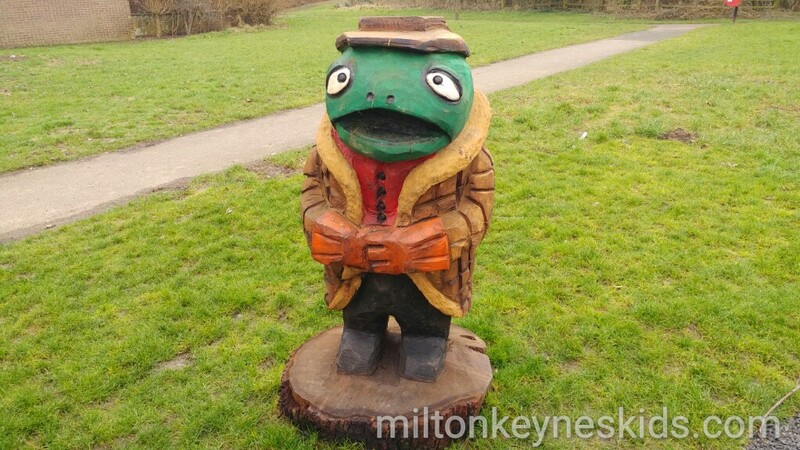 What’s at the Wind in the Willows Park? As the title suggests, it’s a themed park based around the characters from the story. 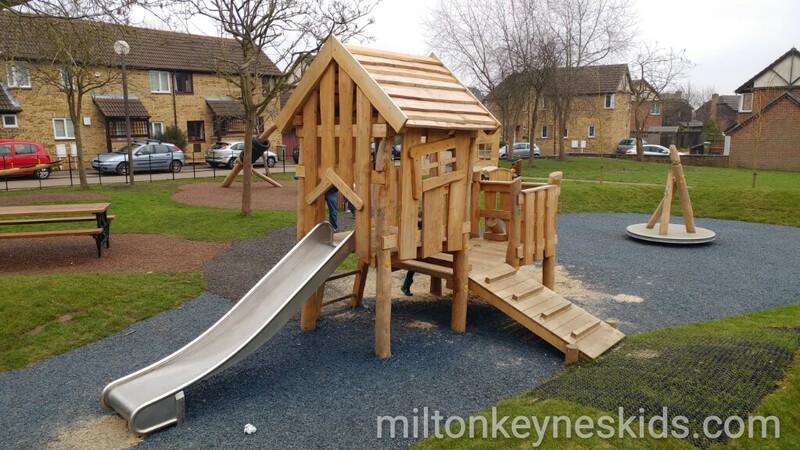 You walk through a wooden entrance way to discover lots of fun wooden play equipment. 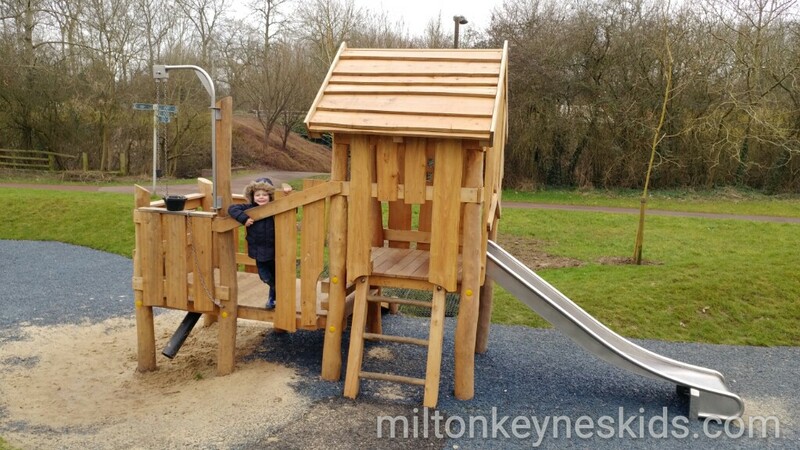 My 3 year old son absolutely loved the small climbing frame with the pulley. In fact he spent most of his time at the park lifting the bucket up and putting it down again. 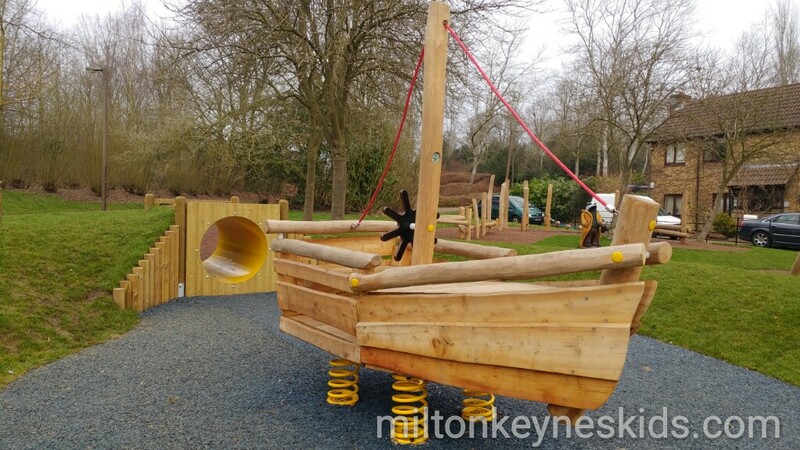 There’s also a wobbly boat which I know is a favourite with toddlers and a car which has a steering wheel. 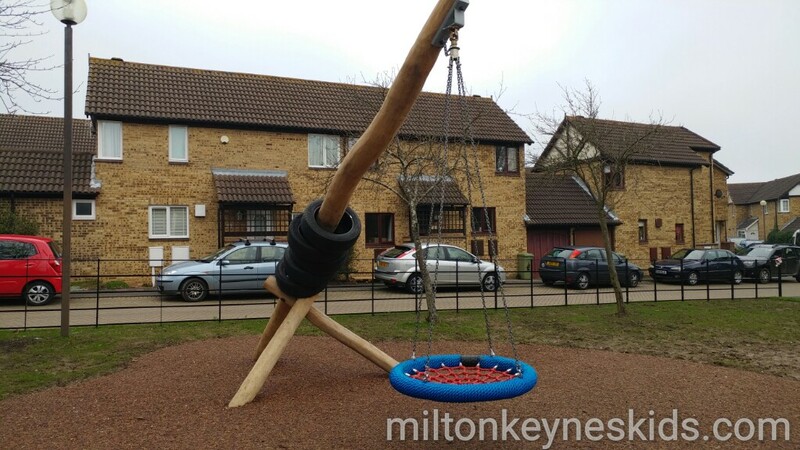 There’s a big swing, baby swings and a small tunnel as well as a small wooden assault course with different level steps. 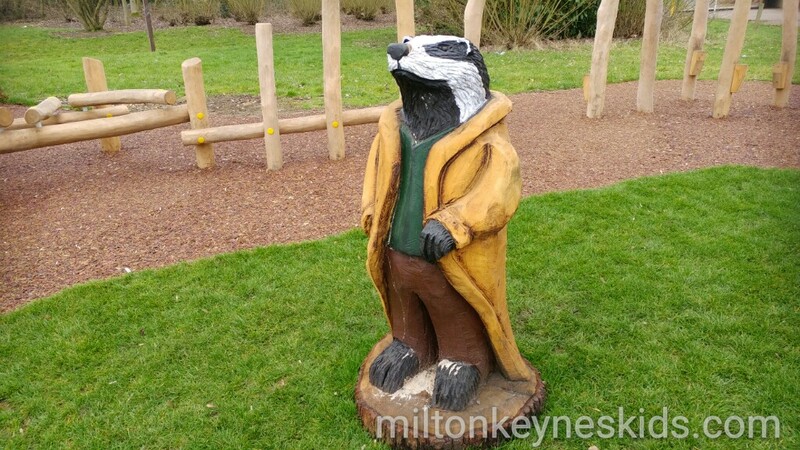 My youngest son – 19 months as a I write this – really enjoyed walking around the park discovering all of the animal sculptures and pointing to their features and naming them. It’s in Petworth in Great Holm. If you put the street name into your GPS then you’ll come down Holyrood then you need to turn left and you’ll see the entrance to the park. Alternatively the closest postcode we’ve found is MK8 9DH. Do bear in mind this is a residential area so do park considerately. 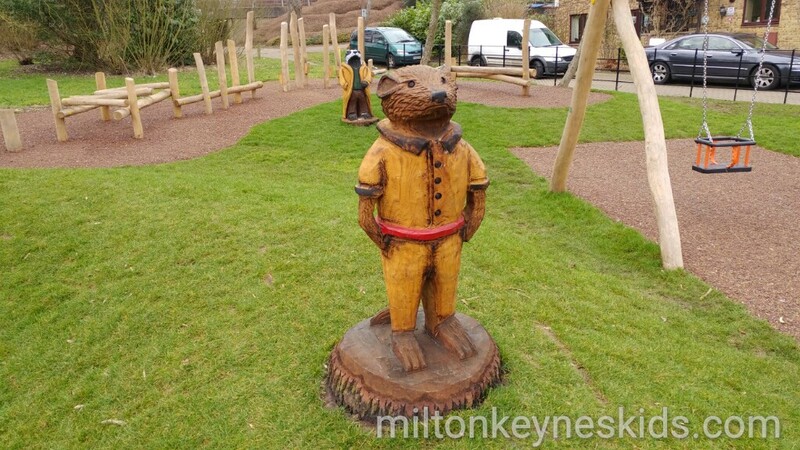 Any tips for visiting the Wind in the Willows park? It can be muddy in places so do put the kids’ wellies on if we’ve had wet weather. Take a picnic! There’s a bench there where you can enjoy lunch. 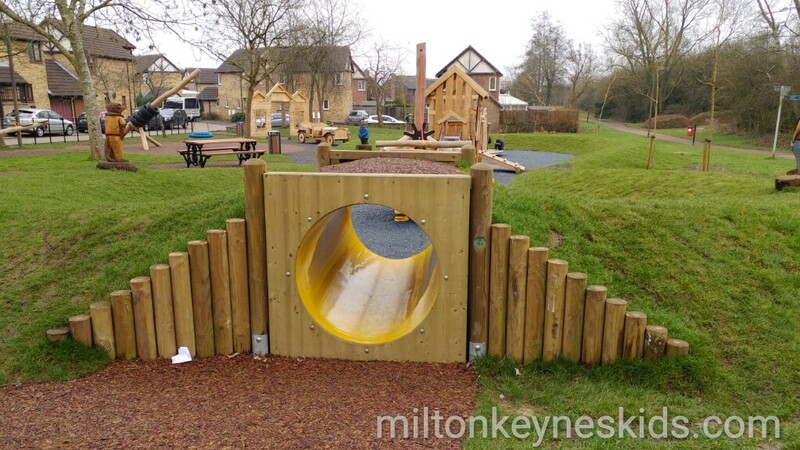 If you liked this park then do check out the parks section of my website and take a look at the Milton Keynes Kids map to plan your next adventure. Have a look at the gallery below to see all of the pictures we took. 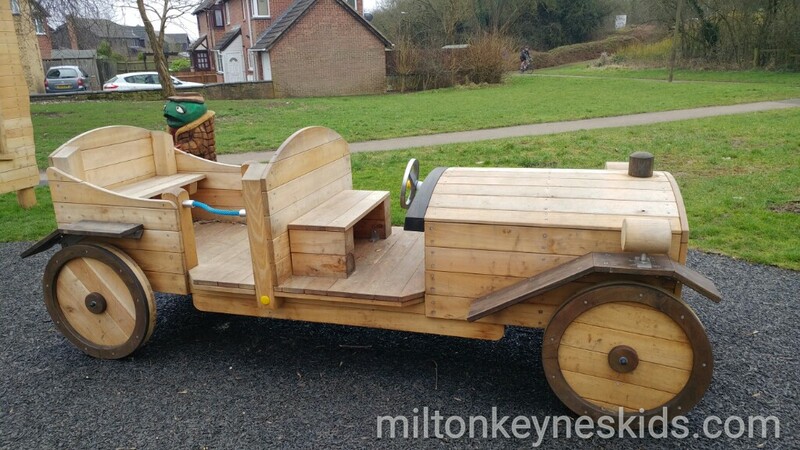 A selection of images from our visit to the Wind in the Willows park in February 2017.